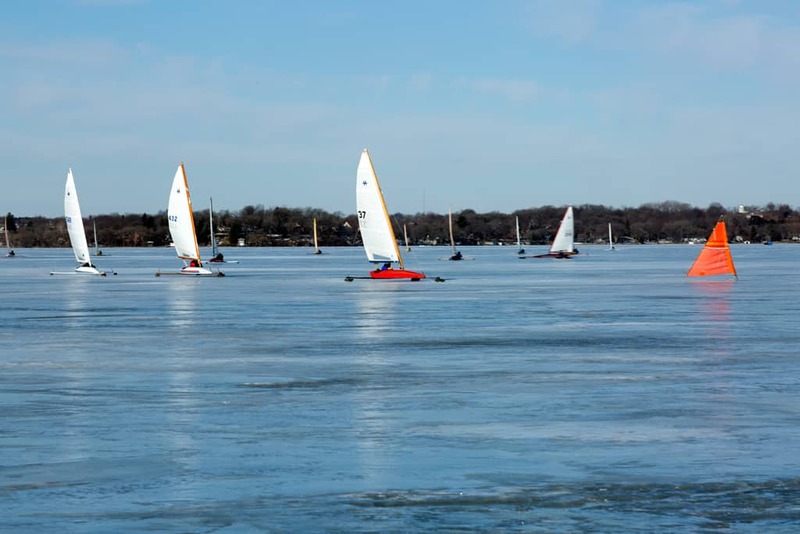 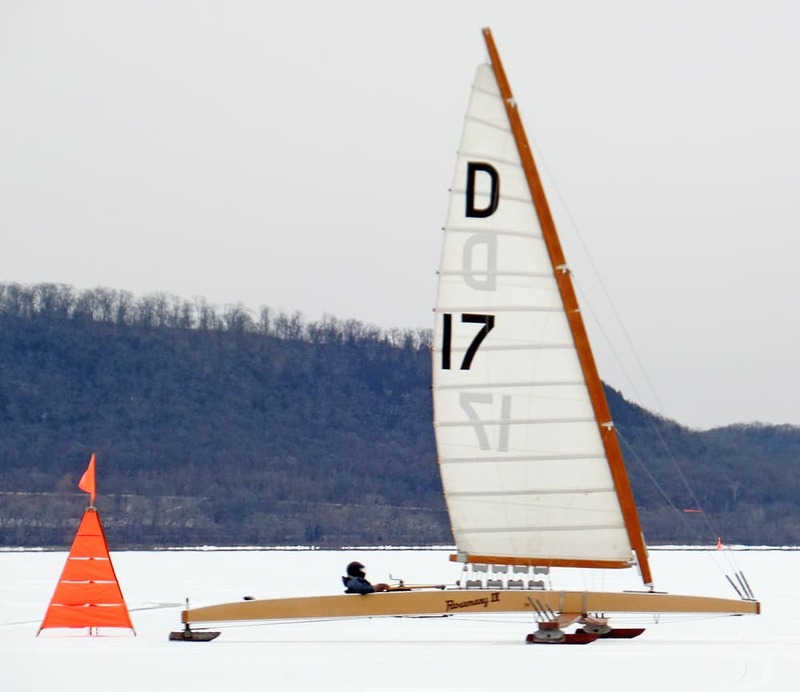 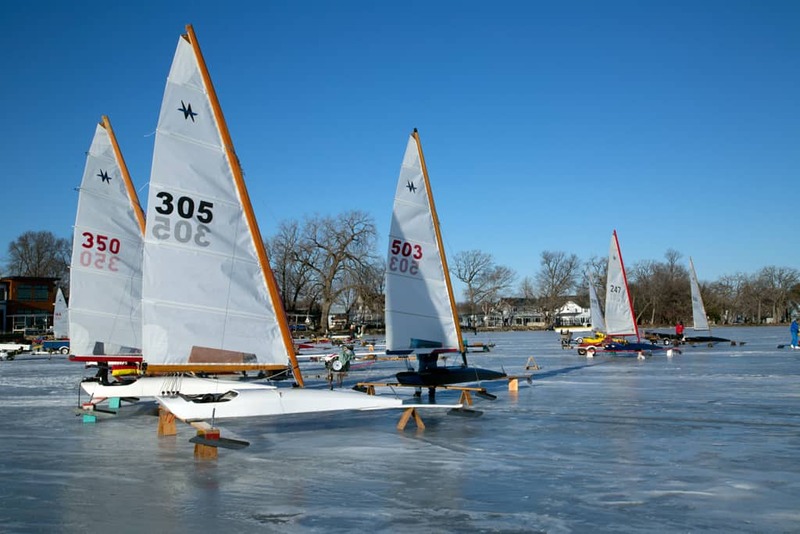 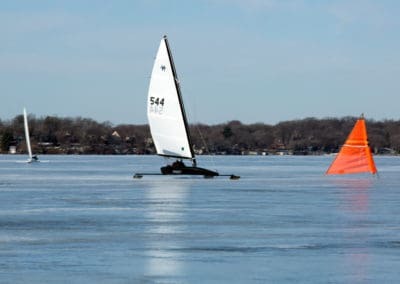 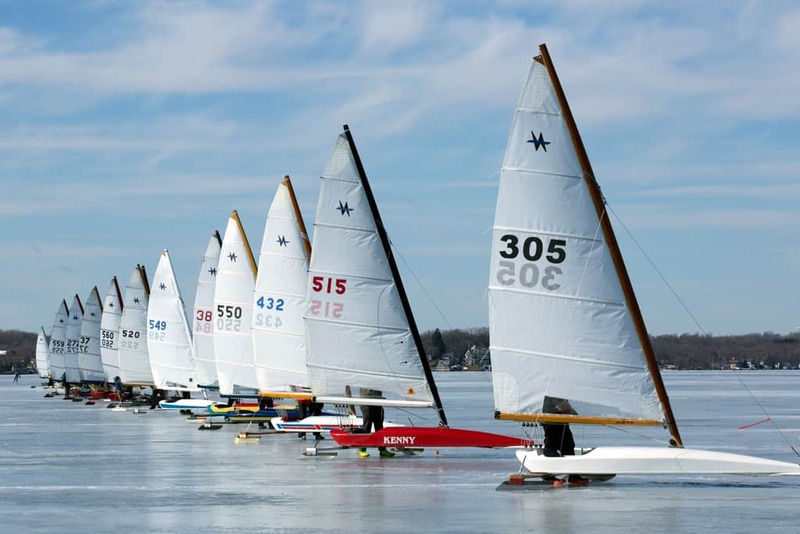 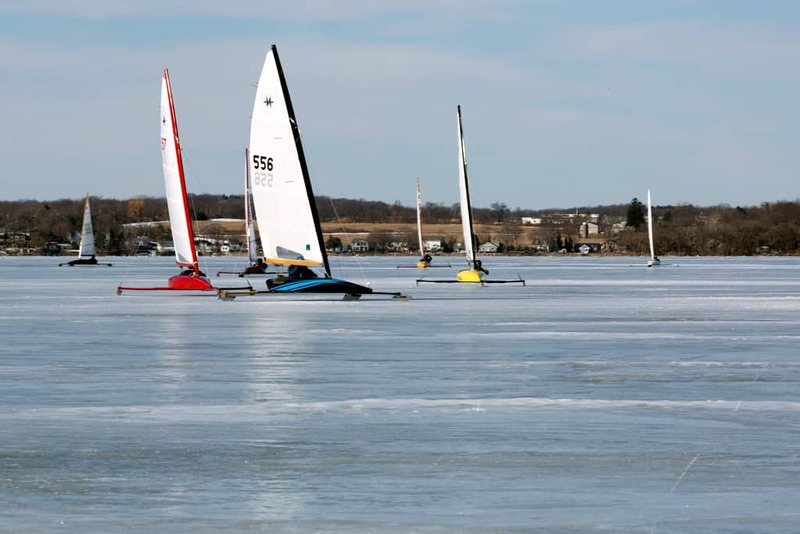 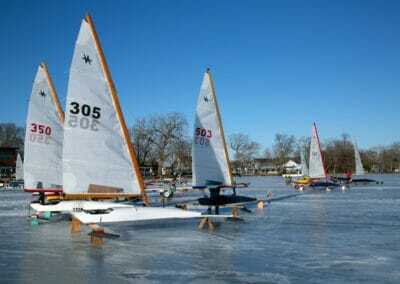 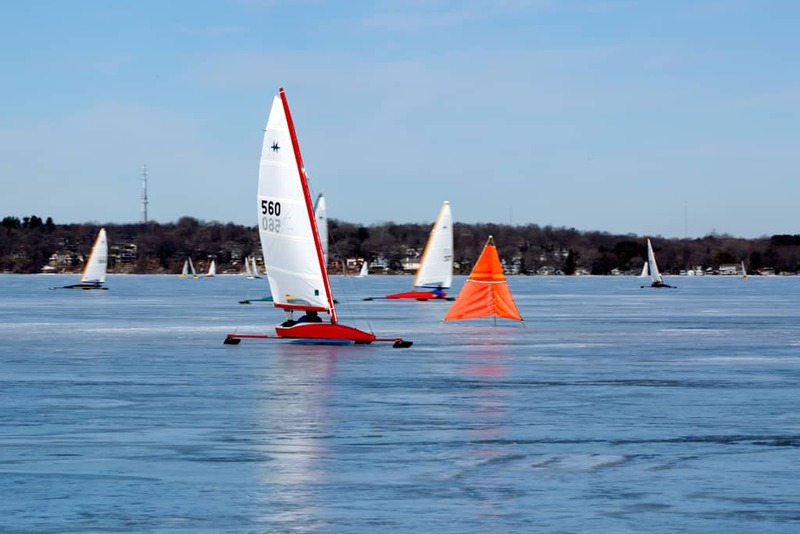 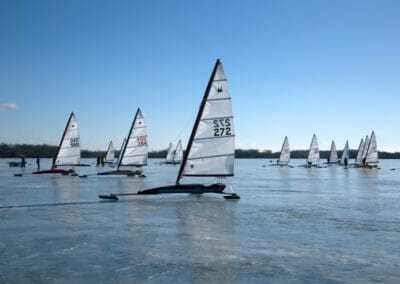 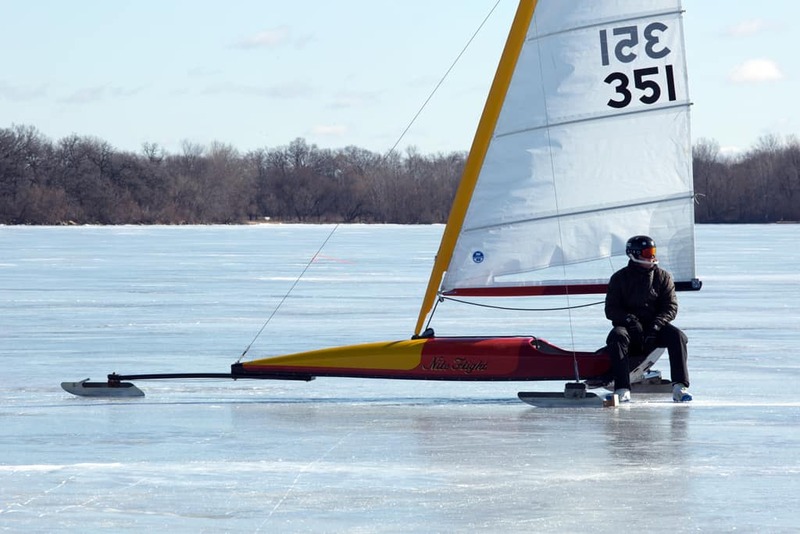 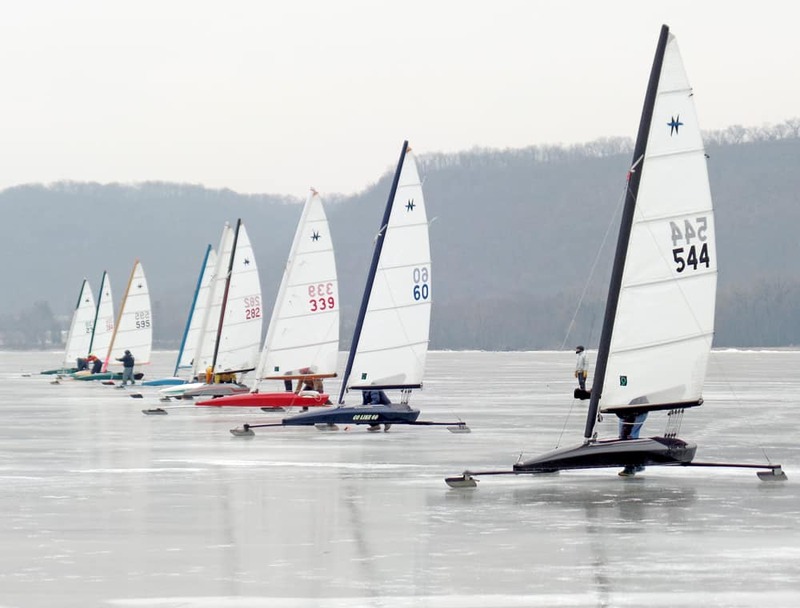 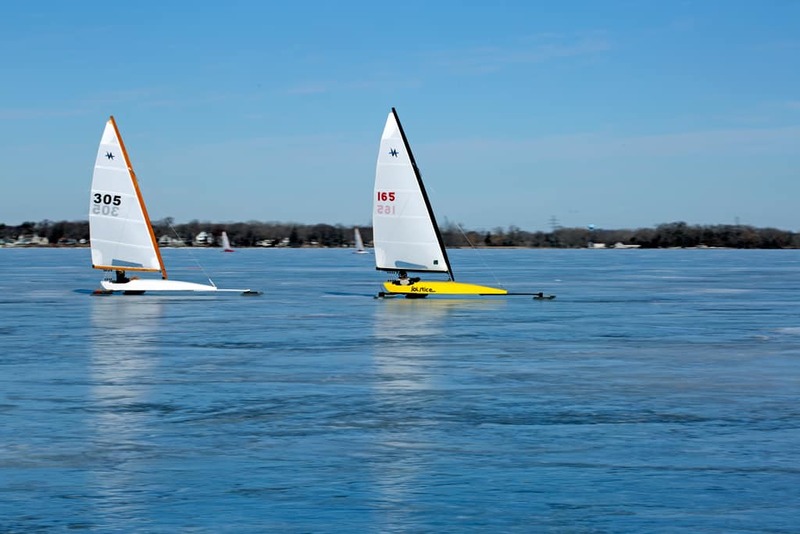 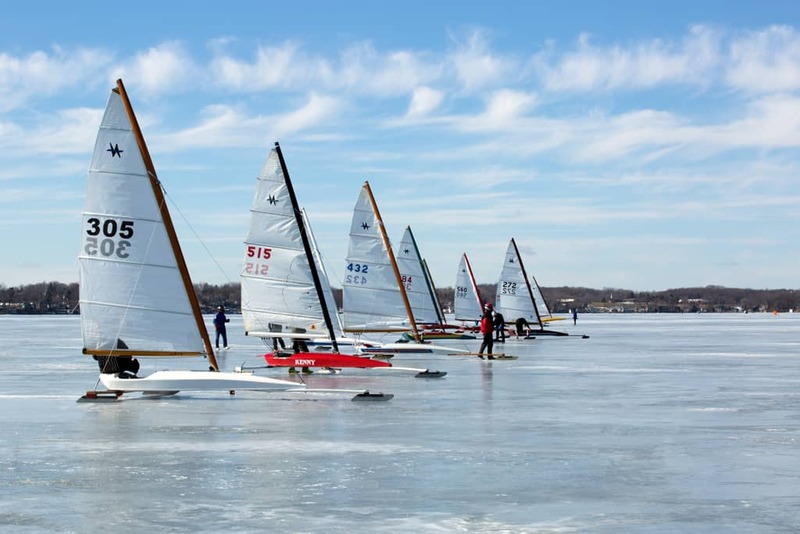 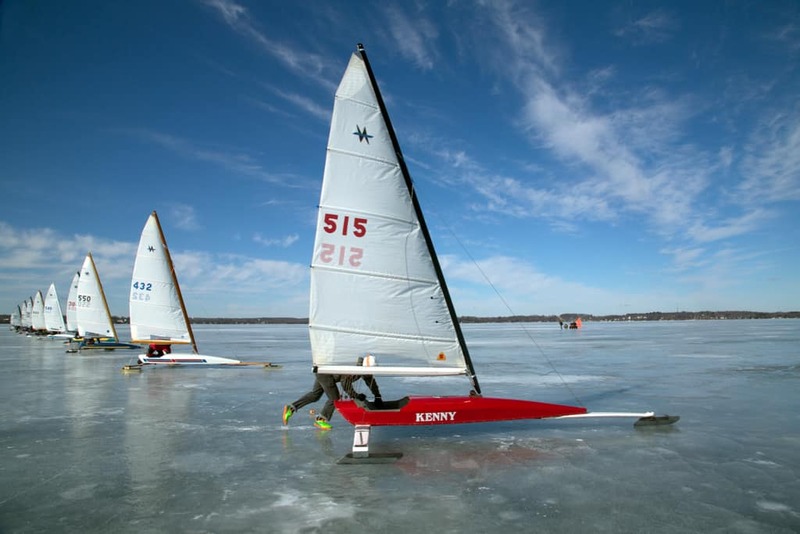 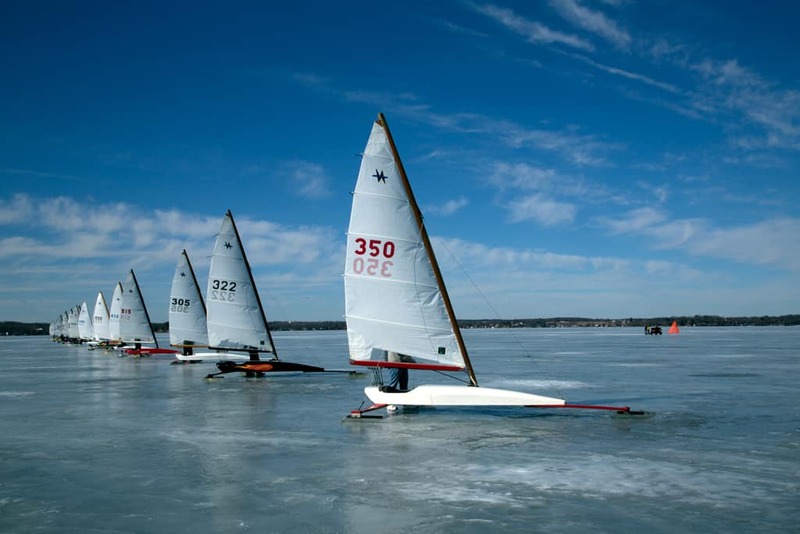 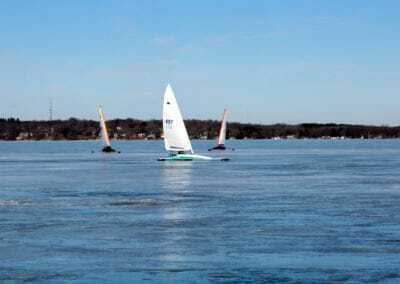 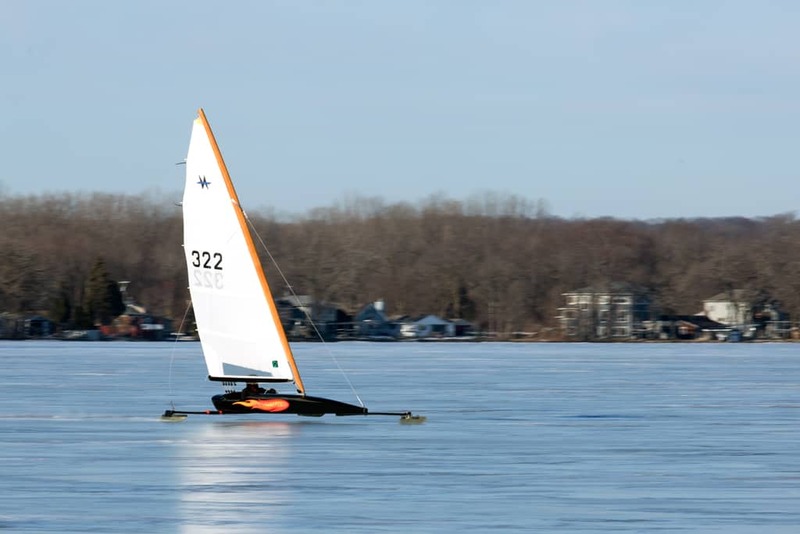 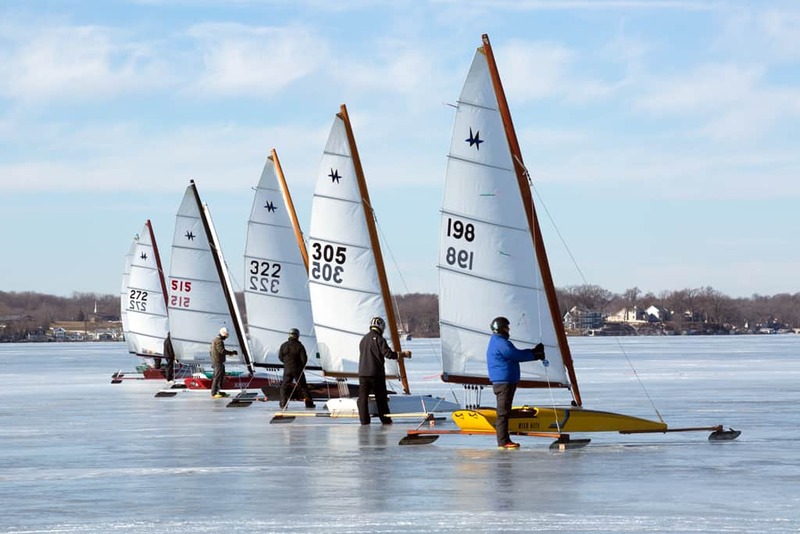 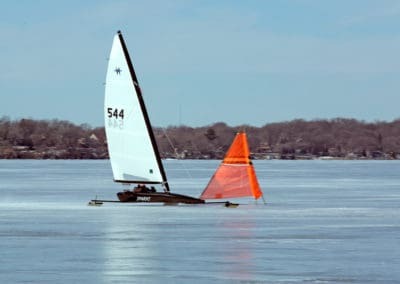 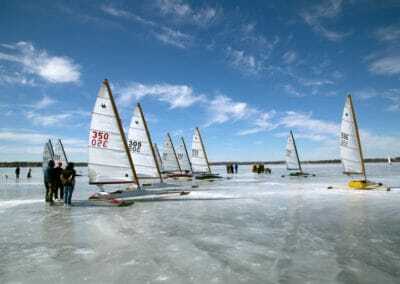 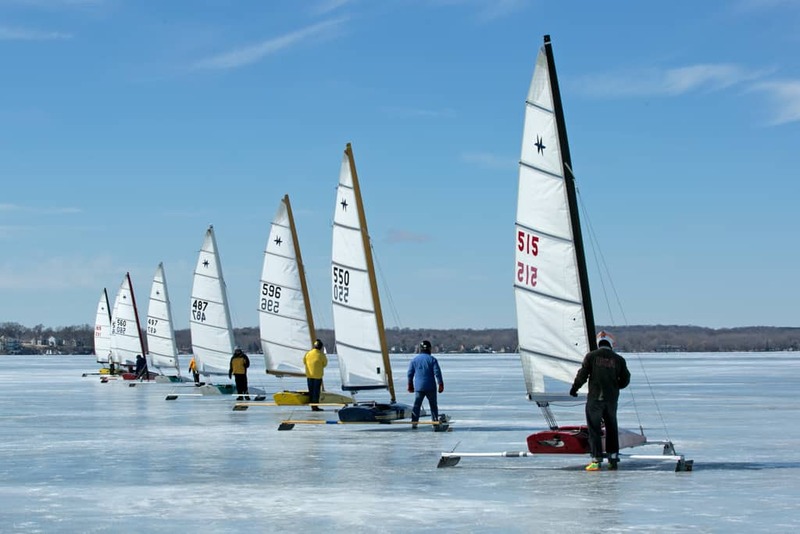 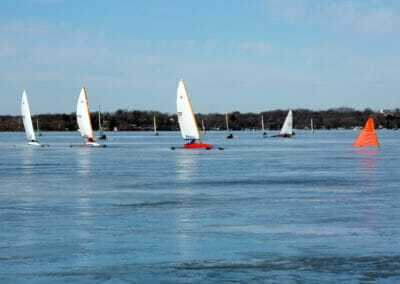 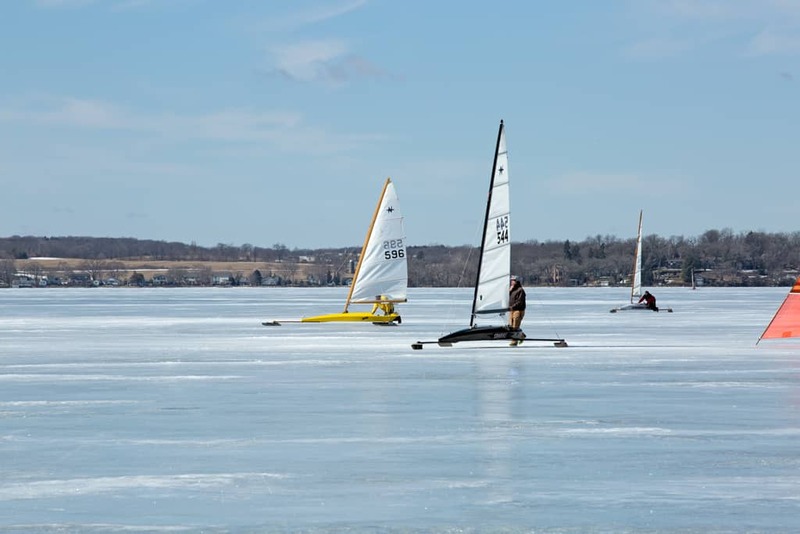 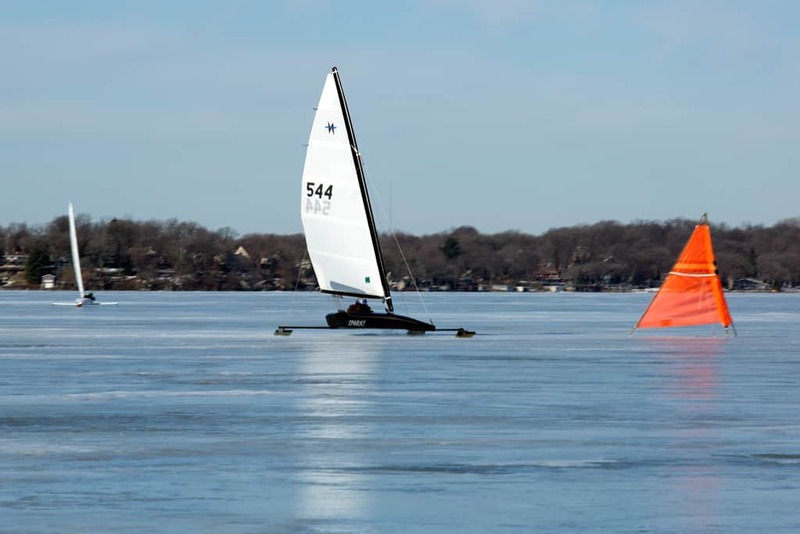 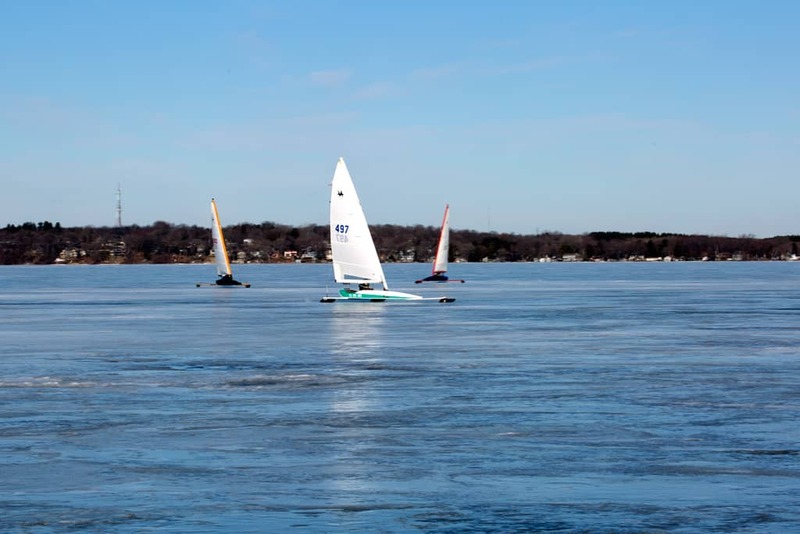 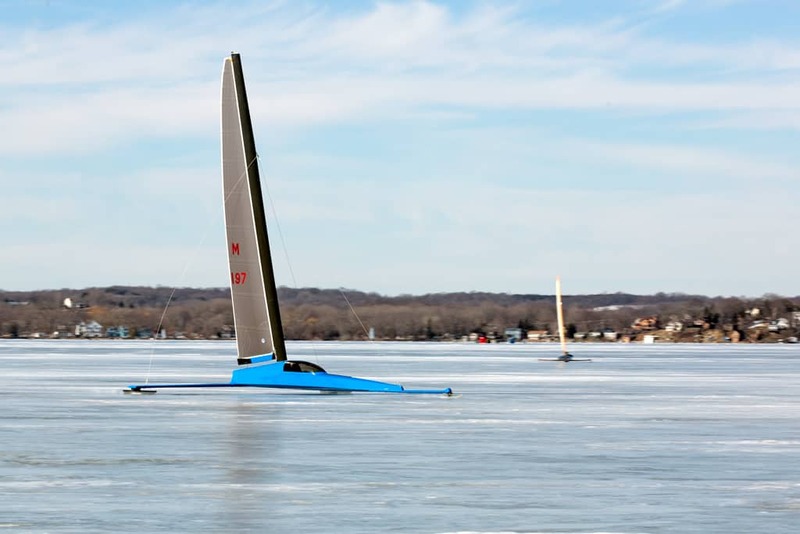 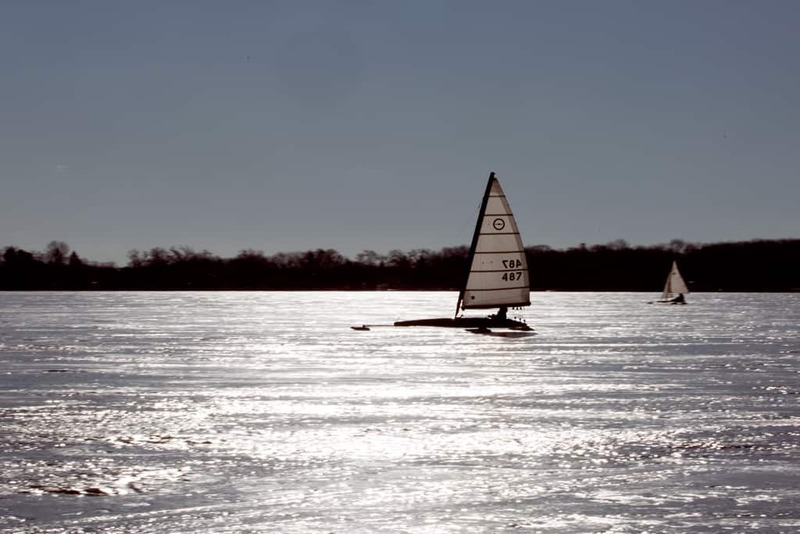 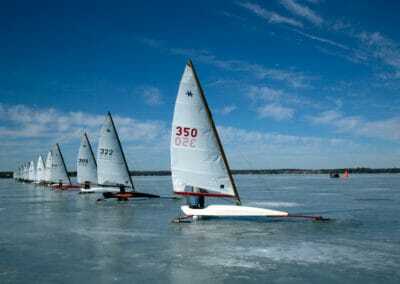 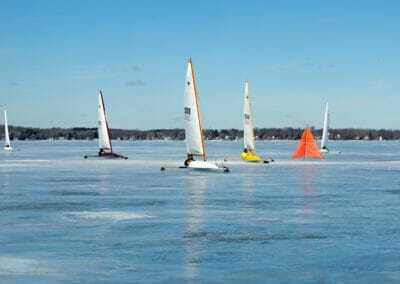 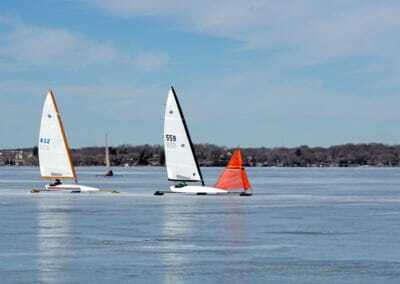 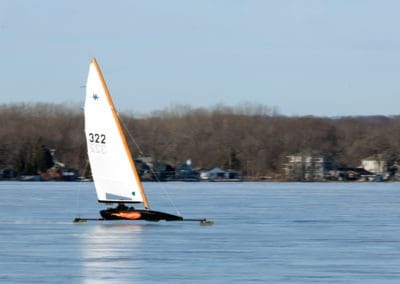 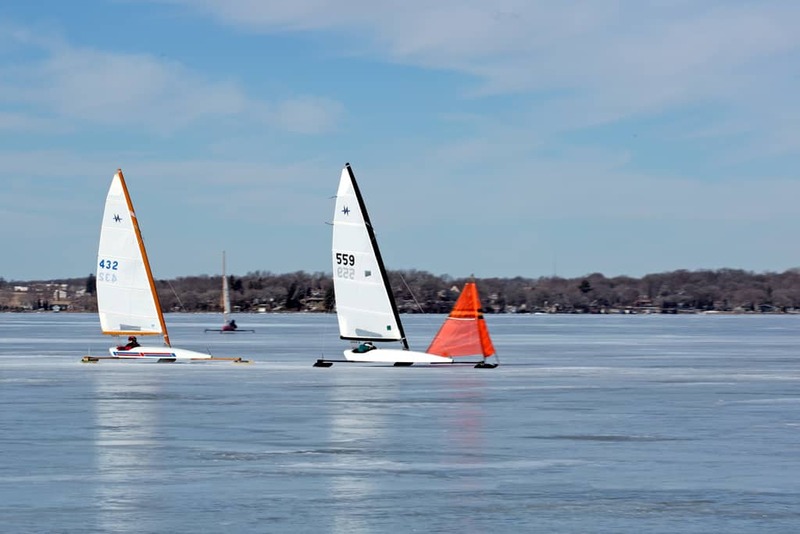 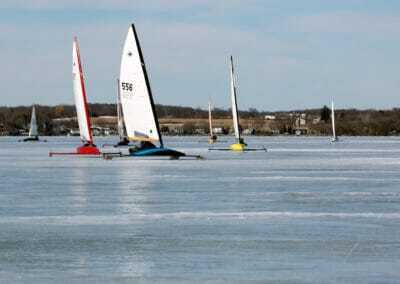 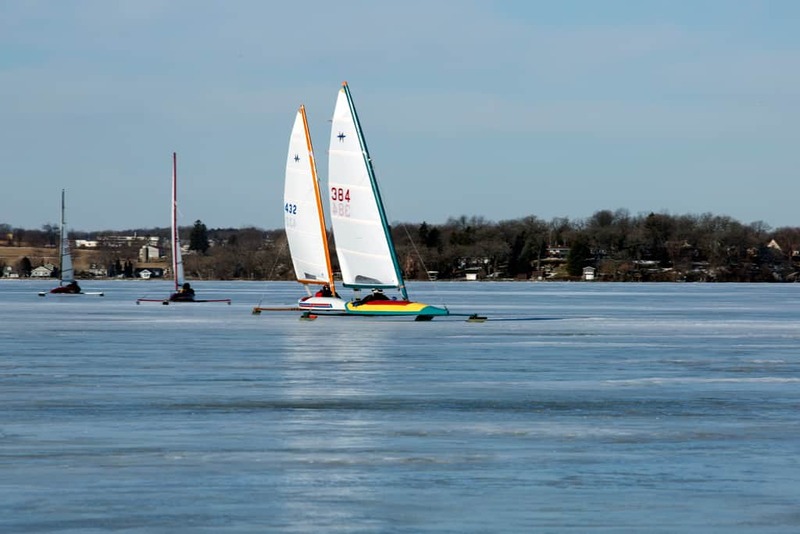 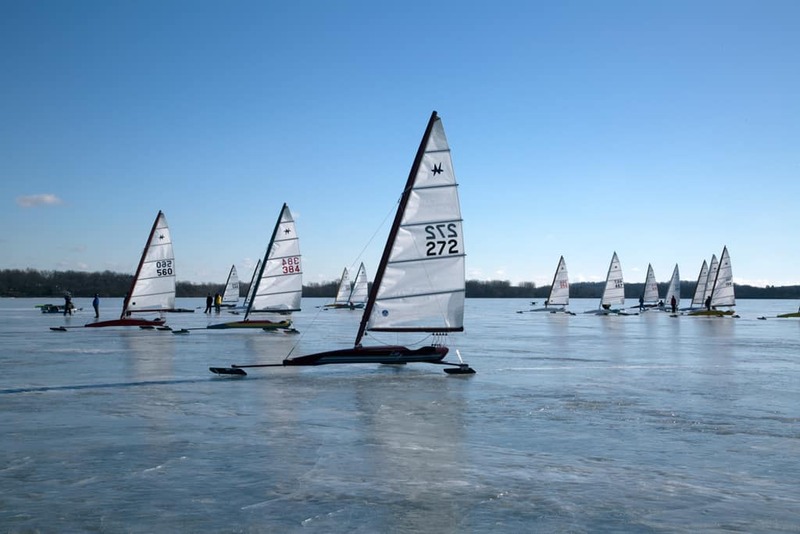 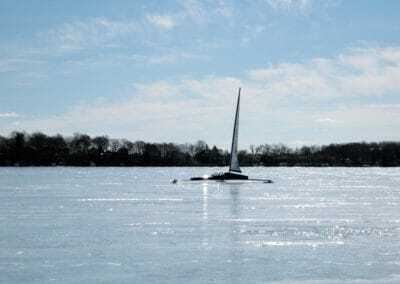 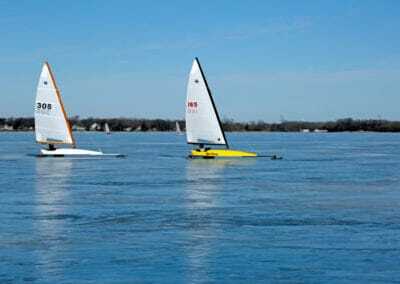 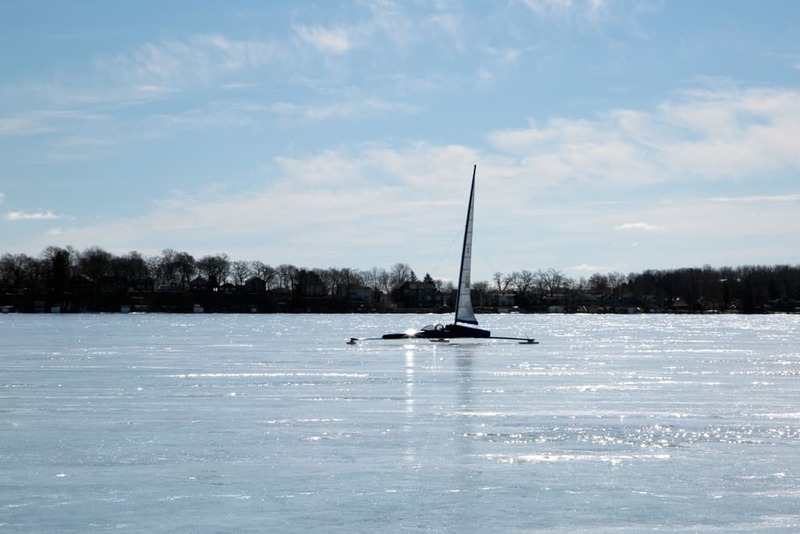 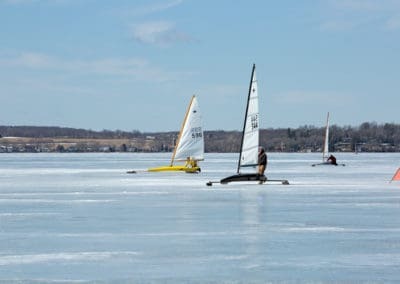 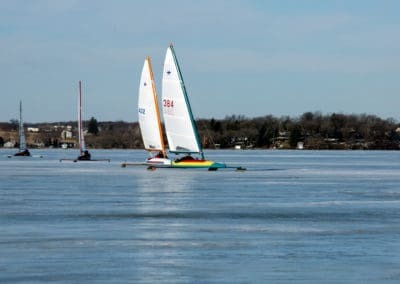 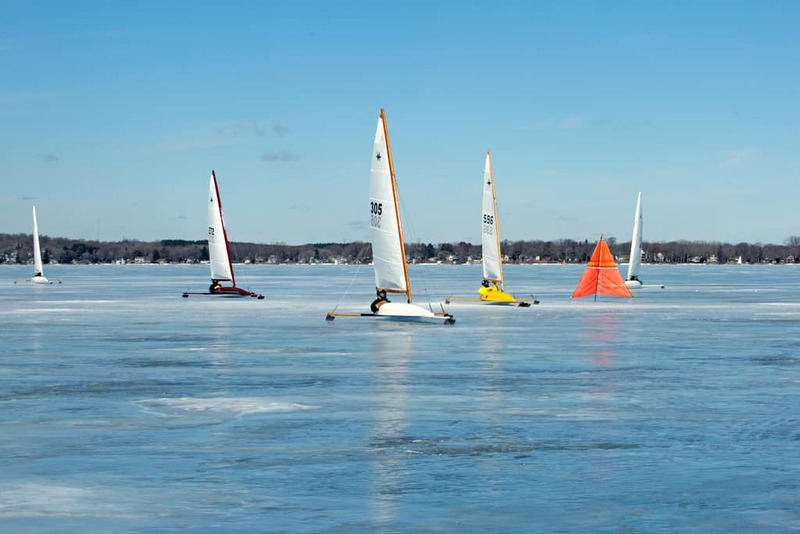 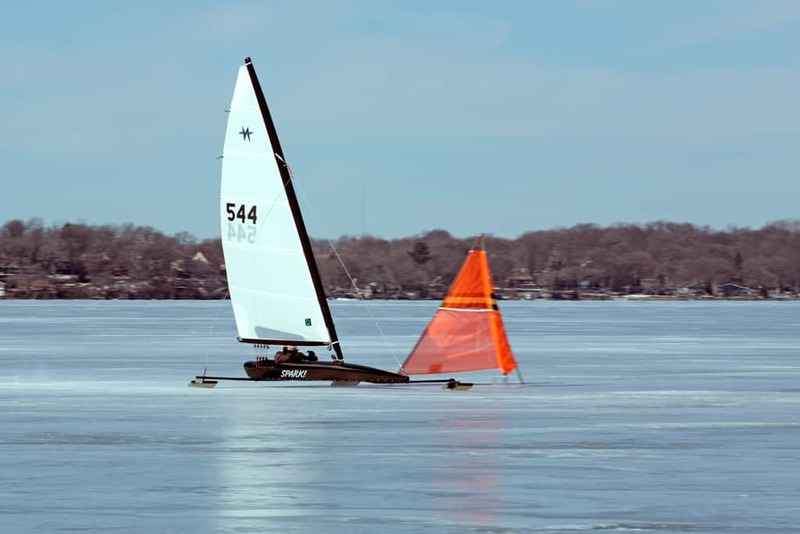 The flag dropped at 9:10 AM Saturday and the Nites were able to complete 3 races in each fleet before the wind shut down and the ice became crusty. Racing begins at 9 AM this morning. 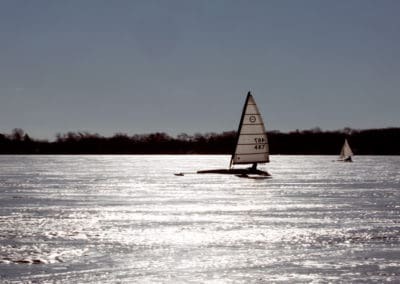 Time to head to the lake and see what the day brings! 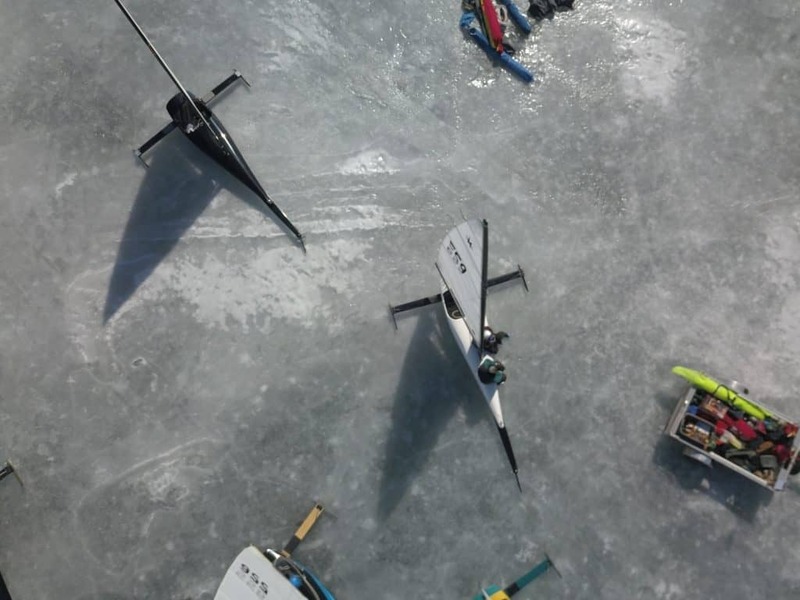 The Nite Nationals have been called on for Lake Kegonsa. 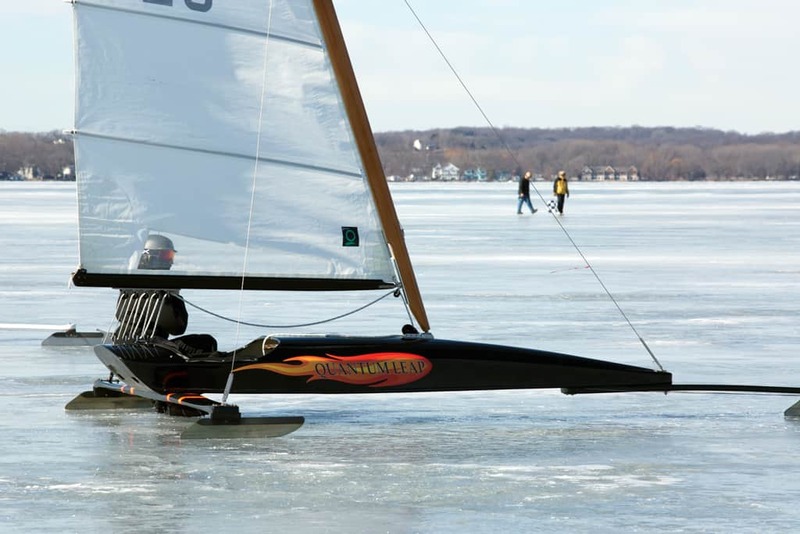 More information, see the Nite website. 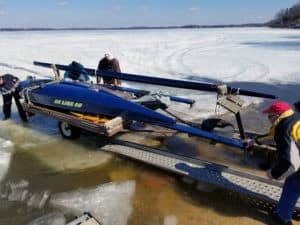 PLEASE DO NOT DRIVE ON THE ICE!!!! 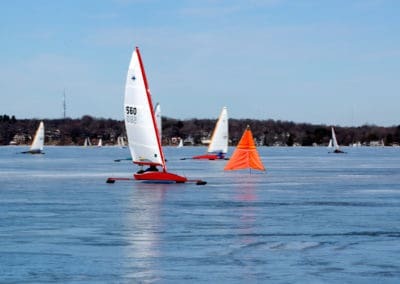 Money will not be accepted on Saturday. 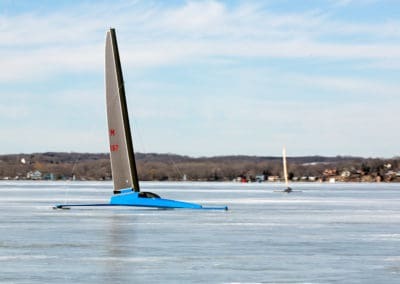 (Maureen will never make the race on time). 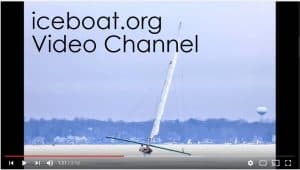 Please pay by paypal below (you don’t need an account just your card). 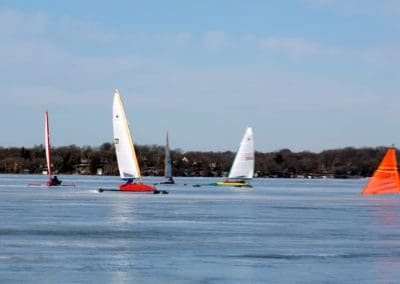 Hotel info: Due to Spring Break and High School Basketball State Tourney, we are having a hard time finding Lodging… We are suggesting finding your own hotel. 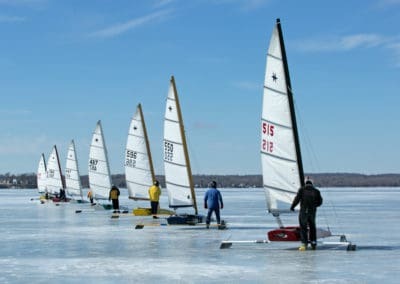 There will not be a central hotel for all to stay. 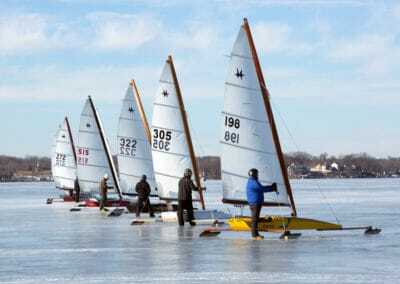 Plenty of hotels with rooms available, but not one that can block off a huge # of rooms for us.